President Donald Trump, who has not passed any significant immigration reform bills since taking office, claimed in a new interview that he could change America’s immigration laws in just “15 minutes” and blamed other countries for not “giving us their finest” in a Fox News interview during his visit to the southern border. The president was in Calexico, California, on Friday to press his argument that there is a full-blown crisis at the U.S.-Mexico border. Immigration officials claim the nation’s immigration system is at a “breaking point” as thousands of migrants cross the border. The president also made time to sit down with Fox News’ Griff Jenkins during his visit. 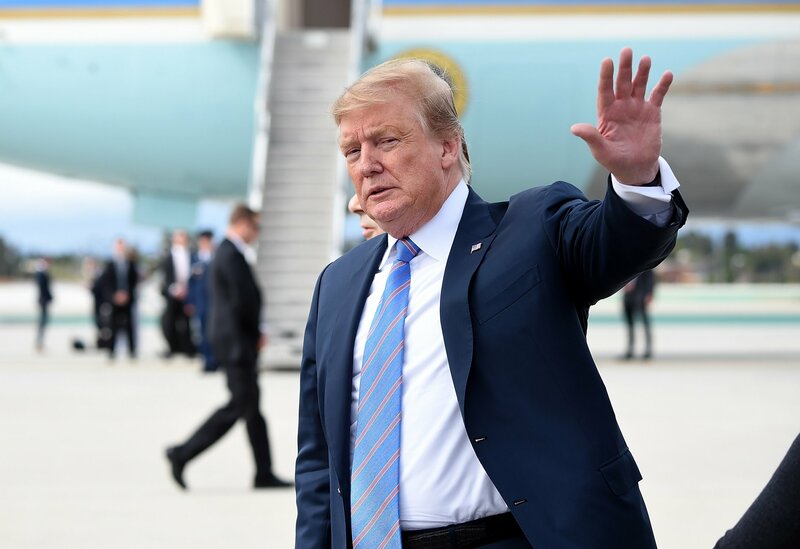 In the interview, which aired on Saturday during Fox & Friends Weekend, Trump continued to tear into Democrats and foreign countries over the situation at the border. Trump went on to say that the Democrats are “getting hurt badly, politically” when it comes to immigration issues and predicted they may start working with Republican lawmakers. But on Friday, House Democrats sued the Trump administration to block spending on the president’s long-promised border wall. Earlier this year, Trump declared a national emergency at the border in order to gain the necessary funds to begin construction for the barrier. In their complaint, Democrats compared Trump and his national emergency to monarchy. “Even the monarchs of England long ago lost the power to raise and spend money without the approval of Parliament,” the complaint read. Due to the surging amount of migrants coming to the border, U.S. Customs and Border Protection Commissioner Kevin McAleenan recently said that for the first time in over a decade his agency is performing direct releases of certain migrants. This means that they are not turned over to ICE or detained, but rather given a notice to appear in court and released.